If you're a pastor, church leader, youth leader or parent I am pleading for you to take youth ministry and teenagers seriously. I'm convinced that the right kind of youth ministry is necessary now more than ever before in our history as a nation. If you are a parent to a teenager make sure they're involved in a solid youth group. 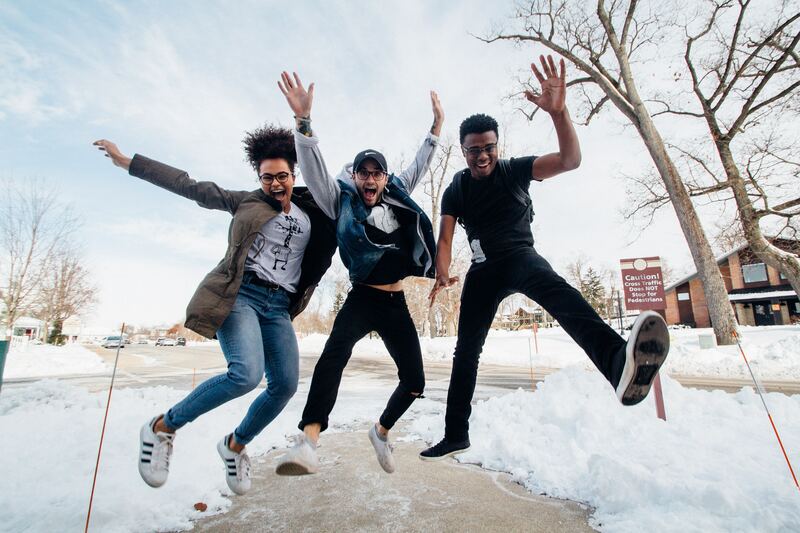 If you're a pastor of a church make sure your youth leader is leading in a way that reflects truly New Testament values (not just fun, games and a short Bible lesson.) If you're a youth leader build a Gospel Advancing, disciple-multiplying youth ministry that is thriving for all the right reasons. But for this to happen churches must begin to take youth ministry seriously and view it as strategic. We shouldn't underestimate it's importance. For instance, some churches subtly de-prioritize youth ministry by bundling it under family ministry and, slowly but surely, teenagers stop showing up because the focus has shifted. When this shift happens (usually showing itself in a huge focus on children's ministry and a dwindling focus on teen ministry) it's obvious to everyone...especially the teenagers. 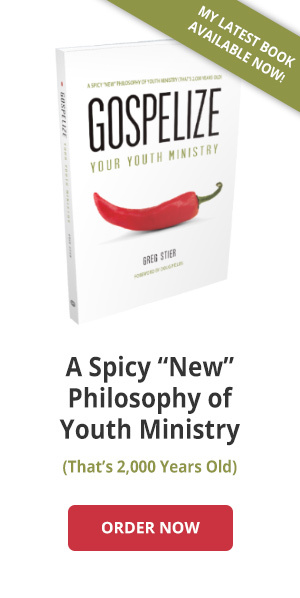 But where most churches ultimately demonstrate their lack of passion for youth ministry is in their annual budget. D.L. Moody once said he could tell more about a person's priorities by his checkbook than his prayer book. In the same way I can tell more about a church's priorities by their annual budget allocations than their mission statement and stated values. Sadly, youth ministry is usually one of the most underfunded areas of the church. And these numbers show the church's view of youth ministry. 1. Generation Z is the first post-Christian generation in the history of our nation. Barna's recent study makes the not-so-suprising claim that the current crop of teenagers (nicknamed "Generation Z"), is pushing away from our country's Christian roots. As a matter of fact the trajectory of the rejection of the historic Christian faith in the US is skyrocketing. And the traditional additional strategies being used in the typical church to reach teens are not closing the gap. They're not even coming close. 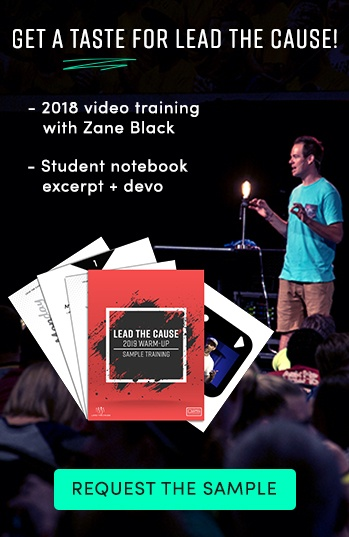 If anything we need to re-establish the importance of reaching Generation Z in our churches and radically re-think the strategies we are using to reach them. Sadly, most youth groups are stuck in the 80's when it comes to reaching teenagers. We are using Etch-a-Sketch strategies in an Apple world and wonder why we aren't getting momentum. But we must figure it out. We need the best minds of the church on deck to do this. We need to get the elders, pastors and leaders involved in this...not just the youth leader. 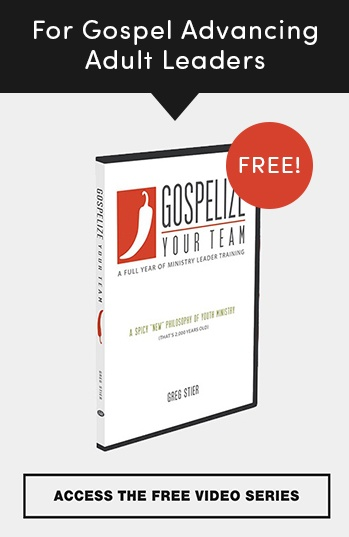 By the way, you can all download a free copy of my book, Gospelize Your Youth Ministry, here to help with this crucial conversation. 2. Teenagers are the church of tomorrow and of today! We are losing the church of tomorrow (teenagers) because we are not taking them seriously today. Teenagers who have put their faith in Jesus have the Holy Spirit and a spiritual gift. We must unleash them now to use their gifts to build the church. Throughout history God has used teenagers to change the world. Think of how in the Old Testament God used David, Esther, Josiah and Jeremiah to lead battles, save nations and preach his truth. In the New Testament God used the mostly teenaged disciples to advance his Gospel, first across Jerusalem and, eventually across the world. In church history God moved in the heart of a 16 year old human trafficking survivor, named Patrick, to bring the Gospel to eventually bring the Gospel to Ireland. Many of Wesley's circuit riding pioneer preachers were teenagers. Jonathan Edwards said this of the first Great Awakening, "The revival has been chiefly among the young." In more recent times God used a bunch of teenagers and twenty somethings to spawn the Jesus movement. Out of it came another youth movement in the form of the Calvary Chapel and Vineyard churches. When teenagers are taken seriously the church thrives. When they are not the church (eventually) dies. Why? Because these thriving teenagers eventually become thriving church members and leaders! Youth ministry is a farm club for the church. And, like with any great baseball team that wins the World Series, there is a great farm club, feeding them great players. 3. Teenagers are looking and longing for a cause that matters and a community that cares. Now is the time to reframe the Great Commission as the ultimate cause. When we make disciples who make true disciples human trafficking is curbed, the hungry are fed and the homeless are housed. Everything good shakes out from that one thing that is great...the co-mission that Jesus gave to us through his disciples in Matthew 28:18-20. When we present the mission of making and multiplying disciples to teenagers we are calling them to become Gospel activists of sorts. We are inviting them into the cause that matters most. Does your current youth ministry strategy reflect this cause in clear and compelling ways (programs, talks, trainings, focus, etc.)? If not, sign up for the Rock Your Youth Ministry webinar on October 25th! It's free and will focus on mobilizing your teens for the ultimate cause! I love this passage when it comes to youth ministry because the focus is on a community that builds itself up in love while they are all working together with their unique gifts toward a common goal. Youth ministry should be where teenagers find true community. It should be where our teenagers have the closest friendships that are sealed and steeled while seeking to make and multiply disciples together. I thank God for the friends I developed as a teenager in a youth group that was laser focused toward the advancement of the Gospel. To this day I remain close friends with this crew as we are still united together for the faith of the Gospel. Unbreakable bonds of friendship are built around common mission and true community. Our youth groups should be the epicenter of building life-long, Gospel-focused friendships! 3. Teenagers are more likely to stick with the church long-term after experiencing the right kind of youth ministry. I have no statistical evidence to prove this statement but I have tons of stories. 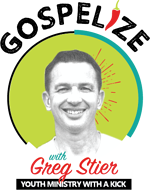 Over the last 27 years I have had the privilege of equipping over a million teens to share their faith and tens of thousands of youth leaders to build Gospel-Advancing, disciple-multiplying youth ministries. Again and again I've heard story after story of teen after teen who has grown to know, live and own their faith (long-term) as a result of sharing their faith while they were teenagers. Perhaps it goes back to what Paul wrote to Philemon, "I pray that you may be active in sharing your faith so that you may know every good thing you have in Christ Jesus." When teens share their faith verbally it drives the ownership of their faith deep into their psyche and soul in ways we could never imagine. Maybe its because when a teenagers shares the Gospel, especially with a friend, they are risking something super important to them...their social equity. This very risk deepens their commitment to the Gospel long-term. By the time they graduate they are somewhat battle-hardened in their faith because they have shared it along the way. The Philosophy 101 university professor's arguments against the existence of God don't sound quite as convincing because these incoming college Freshmen have already had those conversations with atheistic friends in high school. 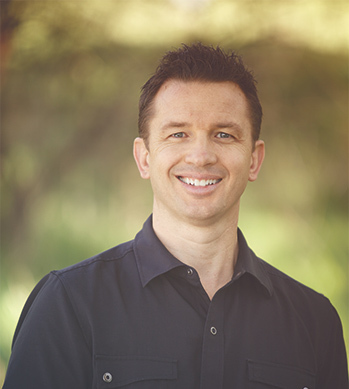 They've worked through finding answers between God's Word and a mentoring youth leader. They're strong in their faith. We have an urgent need to double down on, not just youth ministry, but the right kind of youth ministry. 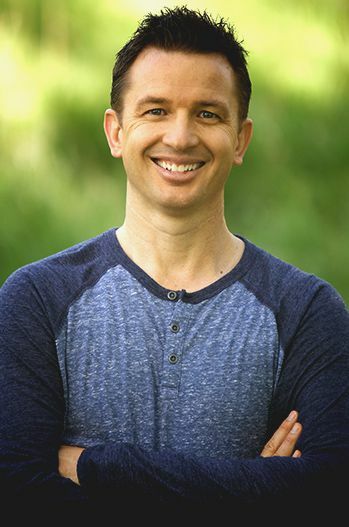 Because there are over 300,000 churches in America and only 67,000(ish) high schools and middle schools, if even 10% of these churches got fully on board the Gospel Advancement train the situation could drastically change. 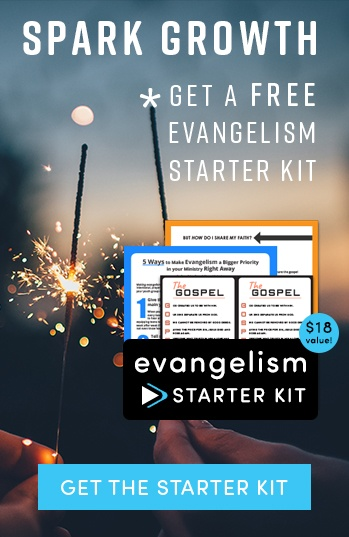 If you want to be one of the 10% then click here and join the Gospel Advancing movement of churches growing across the United States and around the world.